Freshly made sushi in Fantastico! What makes sushi so peerless? Full of fresh fish, crispy vegetables and fiber rich rice, sushi is priceless regarding wholesome nutrition ingredients. The salmon, being the main ingredient, contains great quantity of omega-3 and omega-6 fat acids, vitamin D and Selenuim. The avocado is especially favourable source of fats and the rice provides energy and protein. The wasabi calms the stomach, norito contains very few calories and it is full of vitamins A, B and C, the ginger has a therpeutic effect and assists digestion. 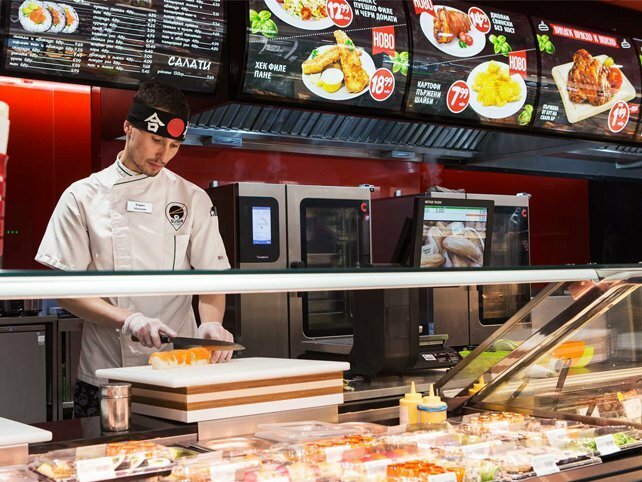 The large Fantastico supermarkets have sushi counters where you can find great variety of freshly made sushi, cooked while you watch the process. You can individually choose the type and size of the plae. Our smaller stores are supplied every day with fresh sushi in special packaging. Each offered recipe includes high quality ingredients. The menu inludes uramaki, futomaki, hosomaki and sashimi. It also provides for vegy sets for persons who do not eat fish, as well as rolls of singed fish who do not eat raw fish. 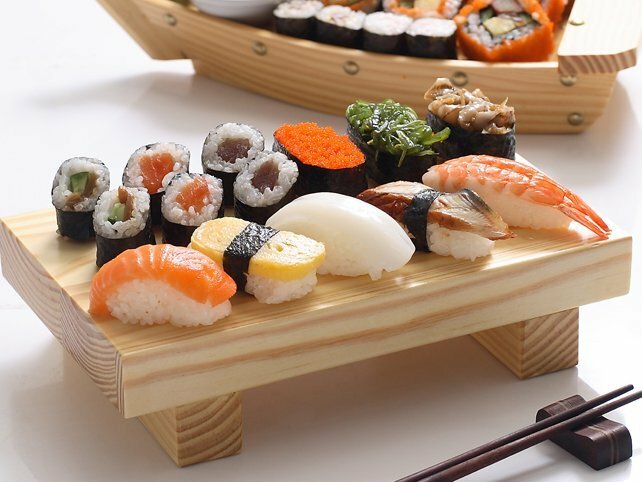 Sushi chefs are responsible for the preparation and the daily supply of best quslity products for the specialties.